Monthly Wine Event held on the last Monday of each month. Call for details. Owners Angeles Dueñas and Kitty Bailey have created a home where they explore the rich traditions of the food and wine from Spain and France with a modern, personal approach. Open Table's 2016 list - "100 Best Restaurants for Foodies in America"
Iced Tea or Brewed Coffee included. love the new restaurant, consistently a good place to go. We love Costa Brava and especially like the new space. As always, a friendly welcome as you arrive at the door and such an attentive staff who deliver to one's table the most marvelous meal. From beginning to end, a delightful way to spend the evening. One of the best in Houston. We have never been disappointed. The new location is lovely and the parking has become much easier. The quality and selection of the food remain superb. There is a personal intimacy of eating within this restaurant which is almost not noticed because the food is so excellent. Not up to par for the first time. The trout was bland as was the couscous with it. Entrees and dessert were very good, especially the suckling pig. Avoid the white asparagus salad. Wine list is limited- only wish they’d offer a corkage fee policy. Food was excellent and so were the drinks. Love this place! Wonderful atmosphere and wonderful food and wines. First time I've had dinner at Costa Brava Bistro. All of the food was outstanding. Excellent service. If I had a complaint it would be that, because of the small size of the restaurant, the noise level was above average and the tables were a bit close together. But, I wouldn't let that stop you from enjoying a wonderful meal at this restaurant. I will be going back! We had a nice dinner with friends. Love the new location and specials off the menu. Costa Brava is consistently amazing! It is the perfect place for a date night. The service and food are always fantastic! 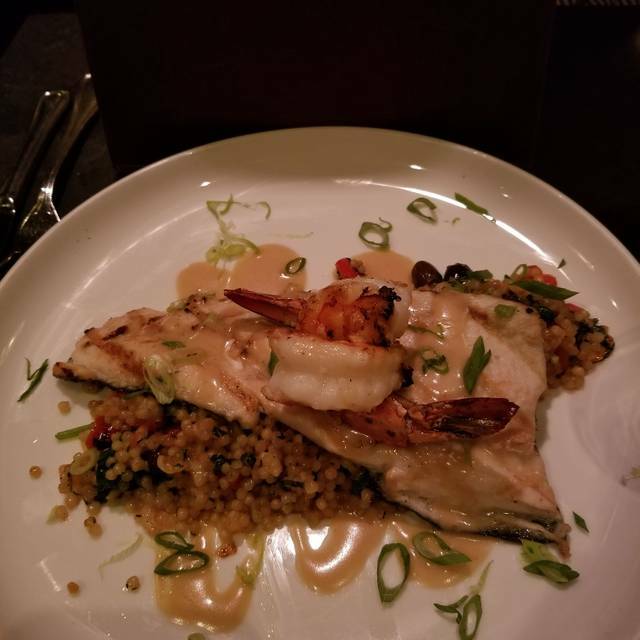 My husband and I have had several dishes on the menu and loved all of them! The shrimp in garlic and olive oil appetizer is a must. You will not be disappointed by any entree or wine. Definitely recommend! Outstanding experience from the warm welcome upon arriving to the warm apple tart at the end of the meal. Our waiter was extremely knowledgeable and nice. The food was exceptional: from the octopus(extremely tender) and salads to start, to the veal loin, paella and suckling pork that the three of us enjoyed, as well as wines and desserts. It was a stellar night of dining. The new space has retained its charm and warmth - a tribute to the owner and chef-owner. We love this place. Travel a lot so don't get here often but always a lovely experience. Great food, decor, ambiance, noise level and reservation fulfillment. I would ask the owners to provide ice in water and a decent pour when serving wine. for additional wine almost continually. A poor policy. And it keeps people from enjoying their conversations. New location for us. Consistently a wonderful place for great food and ambiance. The people working there are great. 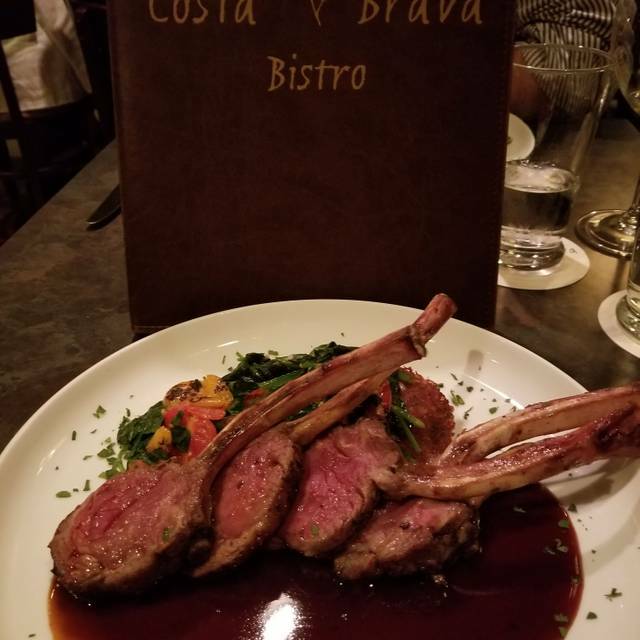 Costa Brava is one of our favorite spots in Houston. The food is consistently good--we had lamb chops, special squid ink risotto, sea bass, and octopus along with some terrific starters and esp. lovely apple tart. Service is always attentive without being cloying at Costa Brava. The wine list is good with some excellent mid-priced options. Great! Delicious food and really enjoyed the new dining room. Will be back soon! Easily deserves the high reputation. Knowledge, professional, and caring staff. Always something new on the menu in addition to the regular menu. We have made Costa Brava our restaurant of choice for Friday nights. The dining experience at Costa Bravo is outstanding! The food is never ceases to amaze us in taste, texture and presentation. And the service is impeccable and friendly. We always love going there, especially to celebrate our special occasions, and we often enjoy a relaxing lunch there. Great restaurant with fresh perfectly cooked food. The staff is professional and helpful and the kitchen always serves the best and most current foods available . The desserts are delicious - do not skip! So glad to have this restaurant in our neighborhood. It is always busy and always great. This is by far one of the best restaurants in the Houston Metro area! I've been eating here since they opened their doors several years ago and I feel like they have gotten better as each year passes. The menu has a really nice variety but is small enough to make your meal decision easy. They have a little something for everyone. Their new location, just a few doors down from their original home, is fantastic! They managed to make the restaurant much more spacious without loosing the quaint European bistro charm and ambiance. 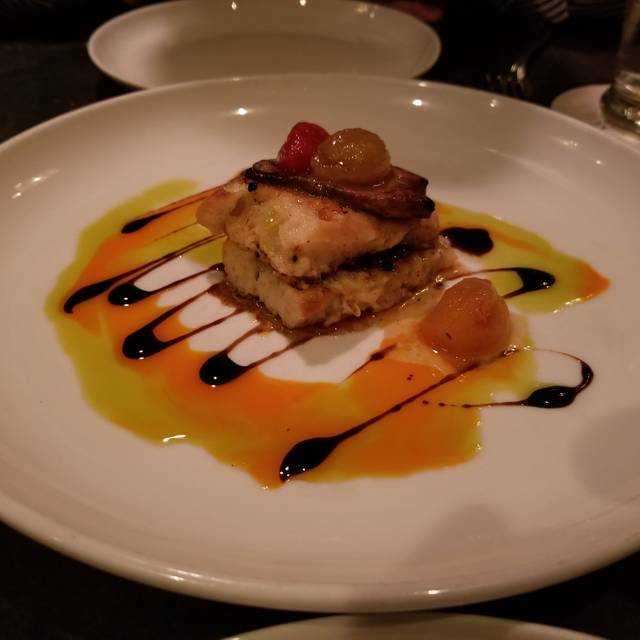 The food was fantastic and the service stellar. Although you can't go wrong with anything on the menu I recommend the Duck Confit and the suckling pig. Do yourself a favor and have dinner here. 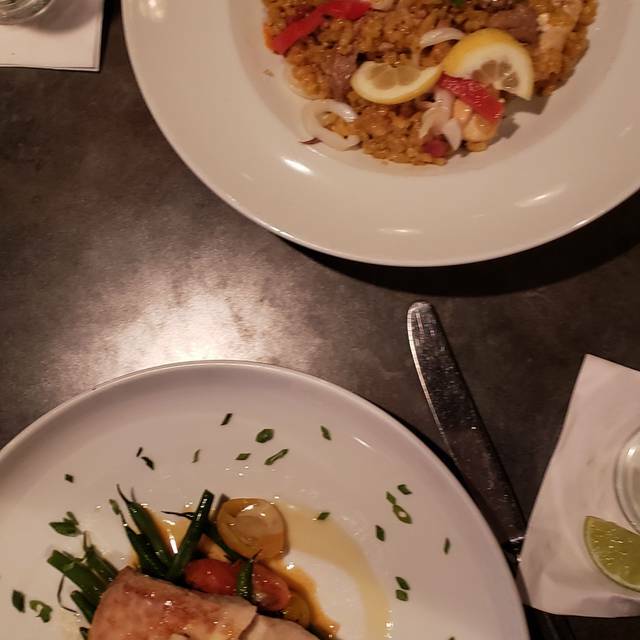 The new Costa Brava Bistro location is very similar to the last with a very pleasant atmosphere, excellent wait staff and food. The main dish was absolutely delicious, if a bit small: a cheesy rice bowl with one large shrimp and one scallop on top. Nonetheless, we were very pleased with the dish, which left room for a fantastic chocolate dessert. All the things we liked at the old location and much less of the things we didn't. More room, less noise, same great owners, same good service though they can get behind on a Saturday evening. The octopus appetizer is excellent as always, and the steak and frites is always good though a little pricey for the cut. My wife had the filet which she loved. Highly recommend the bread pudding for dessert and the Spanish wines are good and fairly priced. A truly excellent dining experience. The food, drink, and ambience are all superb. The owners, Angeles and Kitty, watch over every detail with care and kindness. Barring none, our favorite restaurant. Wonderful as always. Congratulations on the new location, it’s even better and it kept the same feel and look as the old one. Always enjoy this restaurant. Nice, quiet ambiance allows for conversation. The new location is both an improvement, and also very familiar, with the favorite original oil paintings. Always wonderful!!! Everyone is so great! Food outstanding!!!! 30th Anniversary! We were cheerfully greeted when we arrived and wished Happy Anniversary. We were escorted to the perfect corner table. Anthony was our waiter and he was among the most professional and best waiters ever. Appetizers—razor clams, stuffed peppers, shrimp were all incredible! Trout and salmon were perfect followed by mascarpone cheesecake. it couldn’t have been a more perfect evening! we look forward to visiting Costa Brava on a regular basis. Our first time to this awesome place and the manager, service, food and drinks were amazing! spanish influence on all kinds of things. had oxtails and the octopus appetizers that were off the hook. my wife had the quail, mom the snapper and me the australian lamb chops. all were awesome but my dish was the winner! we will be back! Costa Brava never disappoints. The quality of the food and service is top notch. The new location is beautiful. You all brought the good karma from the original location with you. Thank you Costa Brava, for always being excellent! Excellent food with superior service. I can’t believe I never knew about this restaurant until now. They also have the best octopus ever. A great experience, soup to nuts (so to speak). The food, service and ambience were all terrific. Another fantastic dinner at Costa Brava. (Note that they have moved from their long-time location--just a few yards west in the same shopping center). We both had shellfish with rice--mine a special black squid ink and the other scallops with risotto/lemon sauce. Both were delicious and beautifully presented. Bone/bean soup was a tasty and hearty starter; desserts were good, particularly the apple tart with caramel sauce. Costa Brava has a nice wine list though the prices are marked up a bit more than expected. The new location is more spacious than prior spot, but similarly decorated and comfortable. We'll be back to this favorite spot for good food and attentive, friendly service. Food was very good, however a few little tweaks, mostly in service, and it could be amazing. We will dine again.